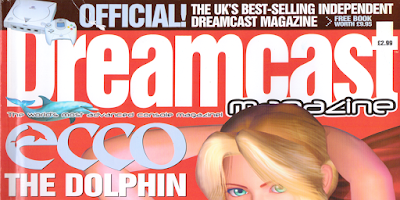 Released on 20th June 2000, Dreamcast Magazine issue 10 was the biggest edition so far and weighed in at 130 pages of Dreamcast-related goodness. Another edition stuffed full of previews and reviews, this issue is also a goldmine of information on unreleased software and hardware; and the cover hints at a free music CD. There are previews of Independence War 2, Star Wars Super Bombad Racing, Colin McRae 2.0, The Road to El Dorado, Roswell Conspiracies, Castlevania Resurrection and Legacy of Kain Soul Reaver 2. 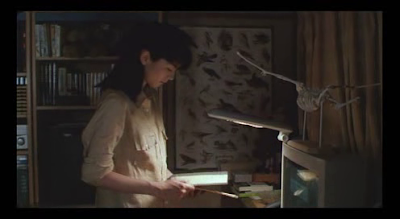 There's also a brief look at the Bleem! 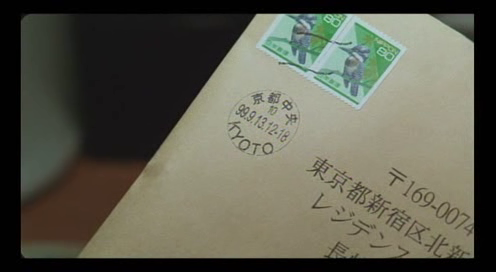 for Dreamcast controller adapter and a news snippet about a possible port of Metal Gear Solid 2. Other features include a look at the various Sega Parks dotted throughout the UK and a fairly huge Samba De Amigo review. It’s no secret that the launch of Street Fighter V has been more than a little disappointing; an unfinished story mode, no arcade mode, a broken online component and the implementation of a quite frankly scary pay-to-unlock system. While 'real' journalists have mostly rated the game highly, giving it the benefit of the doubt and assuming that because the core gameplay is solid, it will one day live up to their review scores, many fans have been extremely vocal in expressing their displeasure at the direction in which Capcom has taken the series. After spending a few days with the game myself, I’d mostly agree with them. Probably not the best place to practice your drumming. My first impressions were somewhat positive. The core gameplay and mechanics are certainly up there with the best in the series (if perhaps a little too similar to SFIV), but unfortunately it's been released in a drastically unfinished state. The general presentation and structure feels more like a free-to-play MOBA than a new entry to one of gaming’s biggest and longest running franchises. That’s all fine and dandy with me, many MOBAs are of high quality, but where they crossed the line was by charging full retail price. Capcom, you can’t have your cake and eat it. Either market and price the game as a free-to-play entry, or wait until the game is complete and release it in a finished form that warrants the price tag. Yesterday we reported on the recently released music album Shenmue. 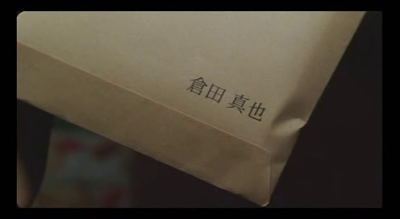 A Love Letter. You may have noticed that this article has now been removed, and that's because new facts have come to light regarding the legalities of this work. According to this thread over at Shenmue Dojo, several of the tracks do not belong to credited composer Patrem and were used without the consent of the original artists. Indeed, the album features performances by pianist Reuben Kee who sadly died in 2007. "Hell no I didn't give him permission [to use my tracks]. 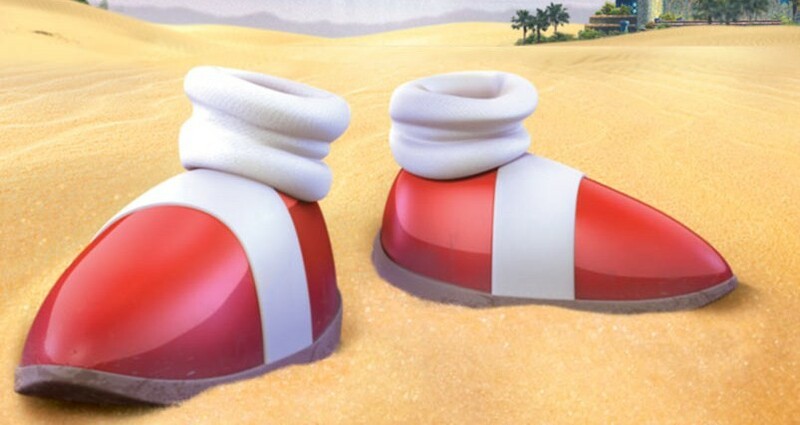 If I didn't think trying to profit off Sega's properties was the dumbest idea ever, I'd be selling these myself." Furthermore, some of the tracks simply appear to be slightly slowed or sped up versions of tracks ripped straight from the Shenmue game with no permission from Sega. While we have had our own wrists slapped by Sega for selling the Ultimate Guide (I'm just mentioning that here so we don't look like massive hypocrites! ), we cannot condone somebody profiting from others' hard work (especially when those performers are no longer around to cry plagiarism). Thanks to Skilljim, LanDC, Sega Scream and the other members of the Shenmue Dojo forum for bringing this to our attention. Music in this episode is from Sword of the Berserk: Guts' Rage and Draconus/Dragons Blood. You can find out more about Tony Jay here. If the the Coleco Chameleon story interests you, you can find the original AtariAge forum thread here and the Pat the NES Punk YouTube discussion here. If you like what you've heard on this episode of DreamPod, please consider giving us an iTunes review! Well this is pretty cool. Seems like US rap artist Le$ has something of a soft spot for Sega's final console, having recently released a mixtape of new material titled 'Dreamcast.' Furthermore, every track on the album is named after a familiar game and most of them are referenced in the lyrics too. 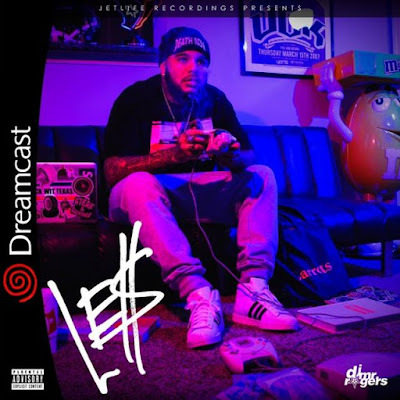 Rap isn't for everyone I know, but I quite like it personally and Dreamcast is perfect chill out music to play in the background while playing on your favourite console...which is an extra bonus if your favourite console happens to be the Dreamcast! Track 4 (GTA 2) is my personal track of choice and if you like what you hear, the full mixtape can be downloaded for free here. 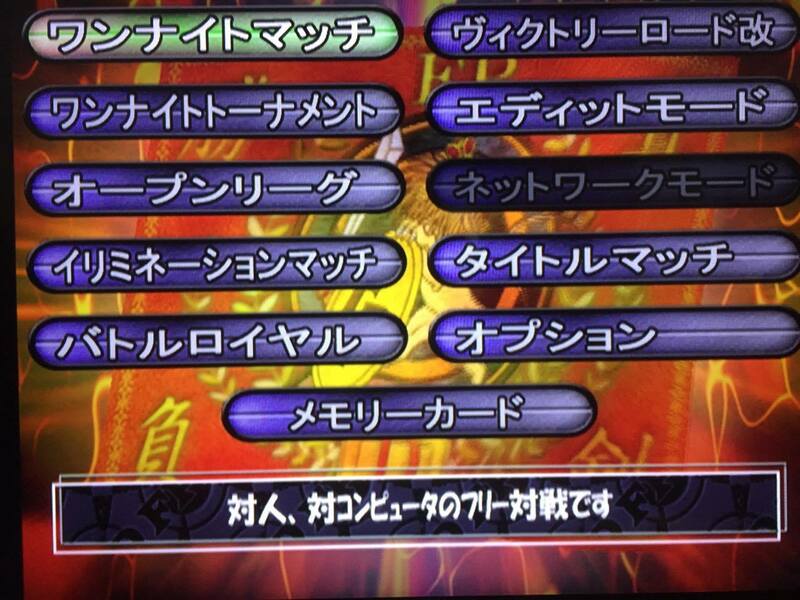 I'm just surprised there aren't tracks called Spirit of Speed 1937, Urban Chaos or Project Justice: Rival Schools 2. That last one in particular just rolls of the tongue. Skins for consoles are nothing new, and there are a whole host of these things available for the PS4, but this is the first time I've seen a Dreamcast-themed one. It even comes with decals for the controllers, although I'm not sure how long the skins would last under moderate use. Still, for £14.99 this looks like a worthy and affordable alternative to Extreme Consoles' premium controller mod. The Dreamcast Isoskin is available from the eBay listing here. 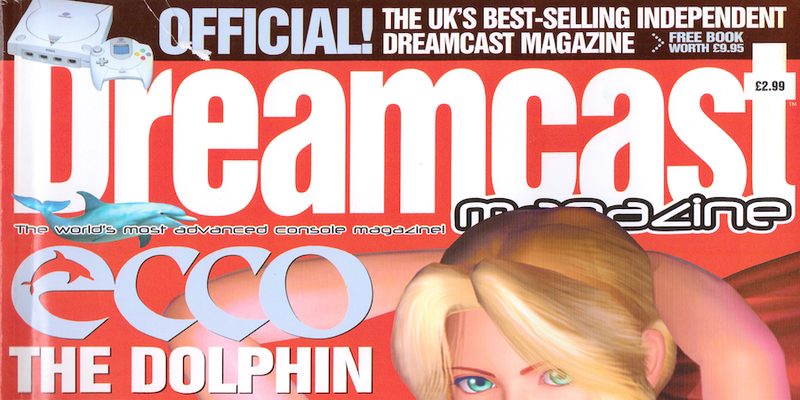 It's that time again folks - time to take a trip into the distant past and dive into another issue of Dreamcast Magazine! Don't worry though - there's no need to fire up the DeLorean as we've done the hard work for you. Dreamcast Magazine issue 9 hit shop shelves on 18th May 2000 and features 18 Wheeler: American Pro Trucker on the cover. 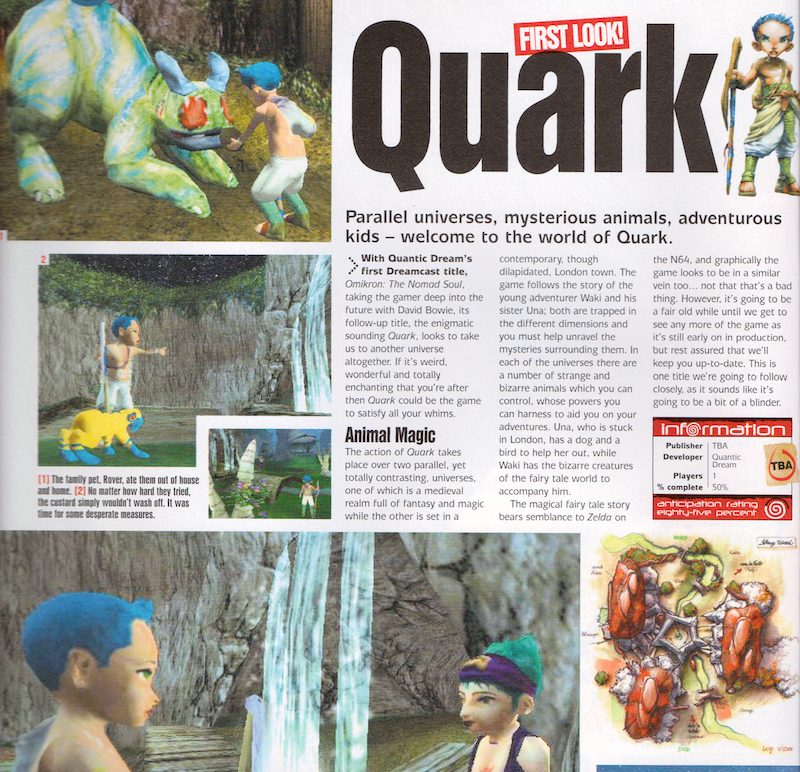 Previews include Nightmare Creatures 2, Half-Life, Spirit of Speed 1937 (ugh) and a little game from Quantic Dream called Quark. I know what you're thinking. You're thinking that this post will relate to the design shift from white to black in the old US of A-NTSC land. Well, you'd be wrong, I'm not going to talk about that. It's already common knowledge and well understood, though I will just quickly mention that it's supremely handy that both designs use a standard 10.2mm CD jewel case with a clear plastic tray. These are dime-a-dozen and can easily be replaced if you want to return your collection to showroom condition. Nope, not going to talk about these. Ah, Atari. A company often credited as being the progenitor of the entire video gaming industry, but one which bowed out with such a whimper it's hard to know whether to laugh or cry. In the 1970s and 80s, Atari could literally fire diamonds from a cannon into a lake for 24 hours a day and it still wouldn't make a dent in the petty cash box lying under the receptionist's desk. By the late 1990s though, those halcyon days of wanton abandon were over. Many people point the finger at Atari's final console, the Jaguar for the fine mess the firm ended up in, but in retrospect a combination of poor management and a failure to capitalise on a rich back catalogue is really what sounded the death knell for Atari. Before you jump down my throat though, know this: I am a massive fan of the Jaguar and have been collecting games, hardware and memorabilia related to that dumpster fire of a system for quite a while...so I consider myself well positioned to pour humorous scorn. Oh, and Super Burnout is one of my all time favourite racing games, so chill. This article isn't about that criminally-untapped pile of 64-bit awesome though. 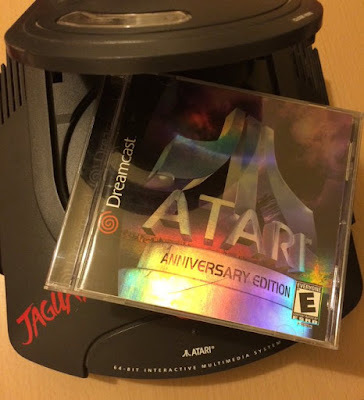 It's about the Dreamcast and a rather nice compilation of Atari arcade classics of yesteryear that I recently acquired: Atari Anniversary Edition. At the risk of totally bombarding you with even more podcast content, allow me the liberty of sharing SEGAbits' latest episode of their Swingin' Report Show here at the Junkyard. This is particularly relevant because this edition of the show features me (Tom) speaking to Barry and George about all things Dreamcast, the DCJY Ultimate Collectors Guide and the resulting drama, upcoming Dreamcast games from the indie scene, Dreamcast Deluxe and the state of Sega collecting at present. Thanks to SEGAbits for inviting me onto the show - be sure to check the site (I'm sure you're aware of it already) and if you're not a fan of listening to podcasts via YouTube you can grab the episode on iTunes or as a regular MP3 download. The entire archive of the SEGAbits Swingin' Report Show can be found here too, so be sure to fill your red and white boots! If you'd shambled out of the incessant rain and into your local Woolworths in the days immediately after Thursday the 20th of April 2000, the chances are that upon visiting the magazine section you would have happened across issue 8 of Dreamcast Magazine. Nestled in amongst Total Control, Arcade, N64 Magazine, PlayStation Plus and all the other defunct periodicals of yore, Dreamcast Magazine issue 8 retailed for the meagre sum of £2.99, which means that the 114 pages contained betwixt its glossy covers weighed in at a total cost of just under 3 pence each. In modern money, that's about £5.67. Now the science bit is out of the way (or is it maths? I regularly get those two mixed up, along with religion and politics), let's get down to business. The cover features Dead or Alive 2 for the second time in eight months, and the previews section details such delights as Evil Dead Hail to the King, Wacky Races, Rush 2049, Gauntlet Legends and Ultimate Fighting Championship. Sega Deserves To Rot - Digitiser 2000 article discussed in DreamPod 26. Interview with Clockwork Games' Neil Casini at Grumpy Old Gamers. Also, here's the list of Japanese games sales figures as discussed by Mike in the episode - Spirit of Speed 1937 actually sold 87 copies in Japan, not 37 as stated...which makes it a resounding success! Music is from Headhunter and Sonic Adventure 2; and if you're in a particularly generous mood, please feel free to leave us an iTunes review! The title of this article is a bit misleading so a disclaimer is necessary. Firstly, you will not learn Japanese through playing Dreamcast games alone but they can be a great tool when used to supplement regular study and great fun to boot. If you really want to learn Japanese to any significant usable level then you need to study some textbooks (Genki textbook* is a good place to start), go to a class and/or visit Japan for a significant period of time. 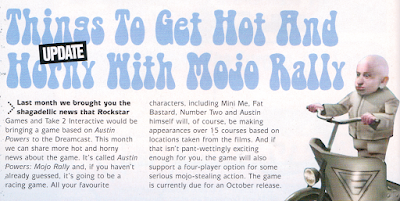 A more appropriate albeit less catchy title would have been 'The Top Five Dreamcast Games to Supplement the Gruelling Years of Japanese Study Required to Play Most Story Heavy Games… with difficulty… whilst referring to a dictionary regularly,' but that's perhaps a little harsh and not nearly as click-bait-worthy. Even something quite basic, accomplishable (is that a word? Well, it bloody well should be) in a weekend, such as memorising Katakana* (Japanese letters used to write foreign loan words usually imported from English) will enhance your experience with Japanese games. Now, let’s get started! This really includes any game that isn’t reliant on story or excess text to be playable; fighters, puzzlers, racers, platformers etc. You can jump right into these games without knowing a single word of Japanese and still have a blast. Where you can often run into difficulty however, is in the menus. Despite being of Japanese region, many games have their menus and option screens written entirely in English, but there are just as many where this is not the case. Learning Katakana* will go about 70% of the way to making them understandable, luckily they can be memorised in as little time as a weekend or two. During or after the learning process, decoding menu and option screens can be a great way to improve your reading ability. I have issues sleeping. Most nights I just lie there awake until Hypnos leaves his sunless cave, breaks in through the bedroom window and kindly grants me the power of divine rest at around 5am. Which isn't much help when I usually get up at 7, but I appreciate the sentiment. Yes, I've read all that guff about not looking at phones/tablets/PS Vitas/ Tapwave Zodiacs at night...but even when I don't, I still just lie there like an idiot staring into the darkness waiting to drift off. These don't come up for sale very often, and this one comes with all the relevant cables and software required to use it (providing you have an old Windows 98 PC to connect it to). Priced at £1000, this particular specimen is way out of my price range, and to be totally honest I don't want any more useless old technology cluttering up my house...but I thought somebody out there may find this to be of interest. There's a nice article here giving further details on what you can (and can't) do with the HKT-01, and that this one comes with the HKT-04 GD-Rom burner as an added extra is pretty cool. Sometimes, these units have tags on them giving clues as to where they've been recovered from, but this one doesn't. That said - who knows what could be lying in wait on the unit's hard drive? As an interesting side note, the same site is also listing a box of 50 blank GDs (priced at £250) so the chances are both of these items came from the same place. If you're particularly well off and end up purchasing this item, please be sure to let us know if you find anything interesting on it. Right, it's 6.50am now - I'm off to get some sleep. The first Dreamcast game of 2016 - Leona's Tricky Adventures - is on sale now and currently making its way to longtime supporters who pre-ordered the game way back in 2013. The game's developer, KTX Software, graciously accepted our invitation for an interview to talk about the release, and we got a chance to sit down (ok, exchange emails, but sit down sounds more professional so just go with it) with the company's CEO Thomas Musal, and Chief Technical Officer Robert Konrad. It's out now! Go buy it! DCJY: Tell us a bit about KTX Software, who are the people behind the scenes? Is it a one person band or a team? 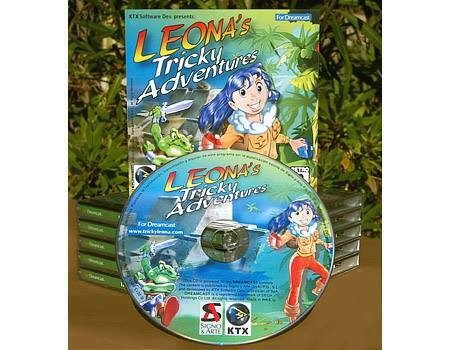 How did you come together to work on Leona? KTX is a subsidiary of European company SyA, which is basically an agency working on graphical products for more than 30 years, based in Spain since 2005 and represented in UK and Germany. At the end of 2009 there was a meeting with respect to a German software project when it was decided to create a department for software development at SyA. In part 2 of my Expanding the Dreamcast Collection series, we’ll be covering one of the other systems in the Dreamcast family, the Sega Hikaru. Much of the information from part 1 (such as how to play Naomi games) applies here, so if you haven’t already, I suggest you go and read part 1 now. Back now? OK, great - let’s get started. 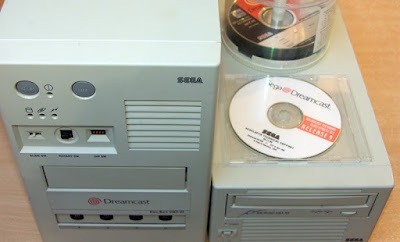 The Sega Hikaru was released into the arcades in the year 1999 becoming the third system in the Dreamcast family (the first and second being the Naomi and Dreamcast respectively). 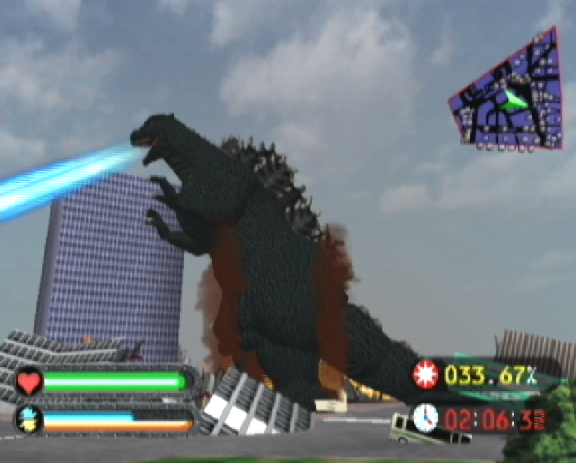 Development of the Hikaru was born out of the necessity to convincingly recreate fire, water and the subsequent lighting and particle effects required for such a task in the game 'Shouboushi Brave Firefighters.' Rendering such effects in a semi realistic manner was cutting edge at the time and beyond the capabilities of the original Naomi hardware, so a beefed up version of the system was hastily developed at the request of the game's development team. The specs of the Hikaru differ from the Naomi in that it utilises a custom Sega GPU and doubles-up on many components; 2 x Hitachi SH-4 CPUs and double the amount of RAM and VRAM. Furthermore, Hikari units are standalone systems not designed for games to be easily interchangeable like the carts seen on the Naomi. 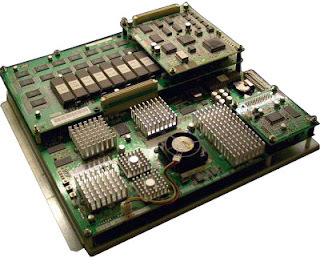 Each unit comes with a ROM board containing a specific game fixed in-place inside a heavy duty metal case, much like the House of the Dead 2 board and the predecessors to the Naomi, the Sega Model 2 and 3. 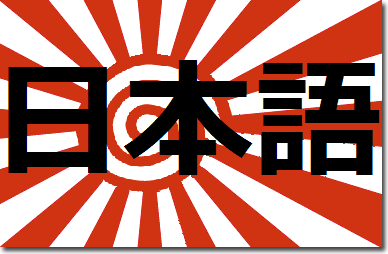 The word 'Hikaru (光/ひかる)' means 'to shine' in Japanese, and comes from the system’s ability to generate lighting effects far superior to other gaming hardware at the time. Hikaru was in fact the first piece of arcade hardware cable of rendering scenes with phong shading and Brave Fire Fighters was the first EVER game to use the shading technique. On a side note, the first game for home consoles to use this kind of shading (albeit on far more limited scale) was Space Channel 5, giving a shimmer to Ulala's dress. So there you go, another example of the Dreamcast family leading the pack in terms of advancements in the games industry. The Sega Dreamcast is a pretty versatile piece of hardware. Not only is it capable of running operating systems like Linux and Dreamshell et al, it is pretty adept at mimicking other console formats too. Since the early days of the Dreamcast, talented coders have been tricking the system into convincing itself it was a Nintendo Entertainment System, a Neo-Geo or even a Sony PlayStation. 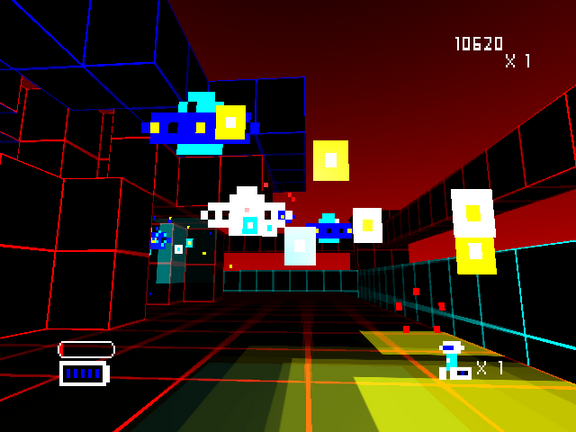 The latter example of console emulation on Dreamcast is well documented and eventually resulted in Bleem! 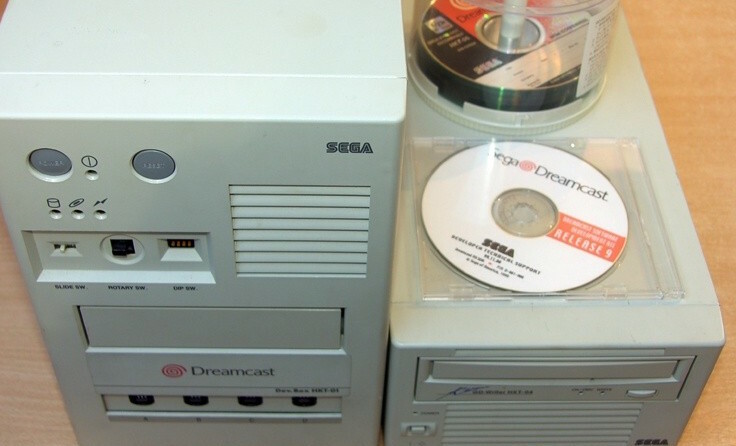 being shut down by Sony's legal department, but let us also remember that Sega itself utilised the hardware of the Dreamcast to bring emulation to the masses. 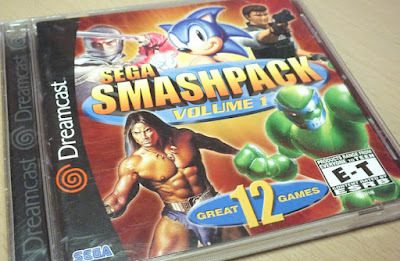 While the inclusion of PC Engine and Megadrive emulators on certain Dream Passport internet browser discs is well known in the wider Dreamcast community, Sega opted to bring Genesis titles to the general populace in the United States via the Sega Smash Pack collection - an official release containing 12 retro titles from various eras in the company's illustrious history spanning both the 16 and 32-bit generations. 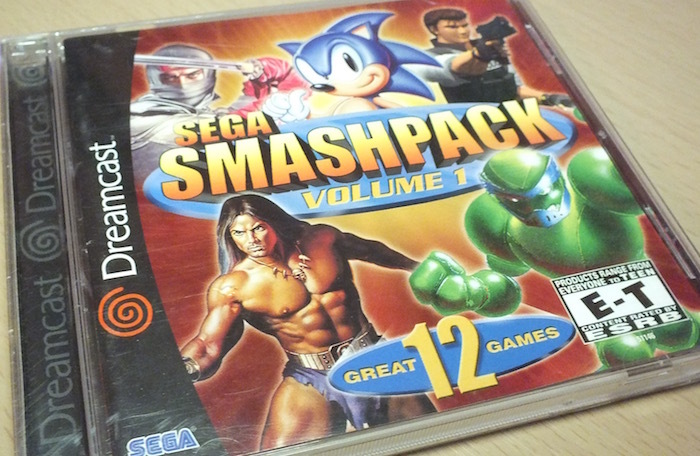 I have it on pretty good authority that a PAL version of Smash Pack was in the works at Sega Europe (having both played a variant and by way of the article below as proof), but only the NTSC-U version ever saw the light of day. Issue 7 of Paragon Publishing's Dreamcast Magazine was available to buy from all good (and quite probably some slightly cruddy) book stores and newsagents on the 30th March 2000. Back in those halcyon days of VHS boxsets and massive MP3 players that took four AAA batteries, Dreamcast Magazine was by far the most popular and best-selling alternative to the official Sega-sanctioned periodical from Dennis Publishing. Issue 7 isn't a rich source of unreleased games like some other issues have been, but it weighs in at 114 pages and this represents a lot of content for the princely asking price of £2.99 a copy. According to the cover issue 7 also came with a free book worth £9.99, but just quite what it was is a mystery as it is not referenced at all in the magazine itself.